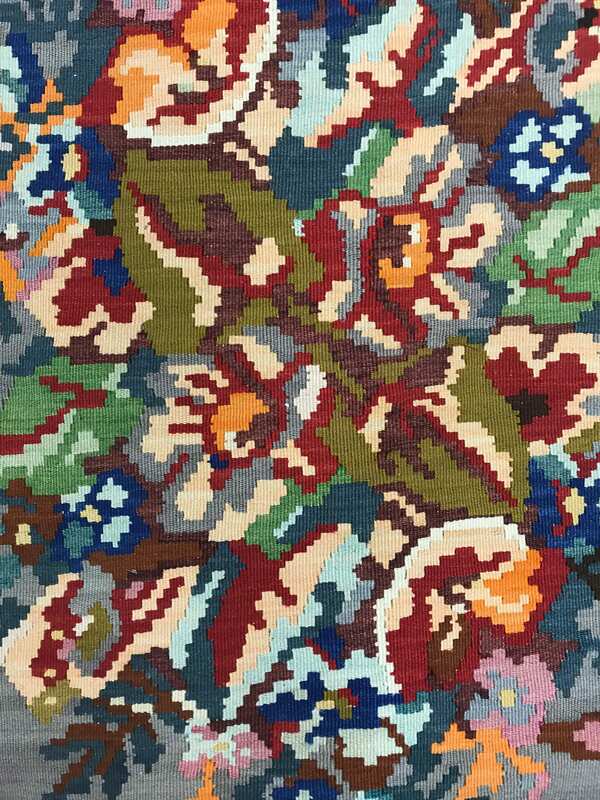 This astonishing Oriental rug is an antique 7’3" x 10’ Turkish Beserabian Kilim, circa 1940s. 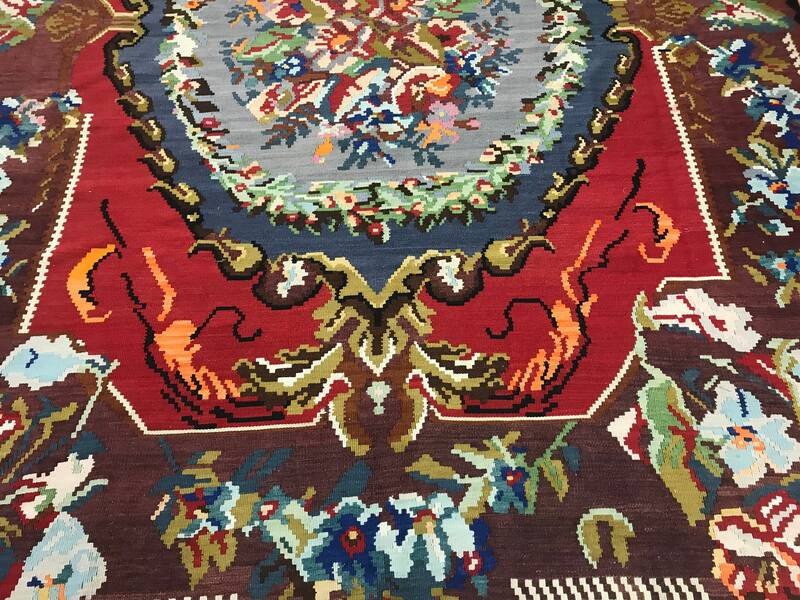 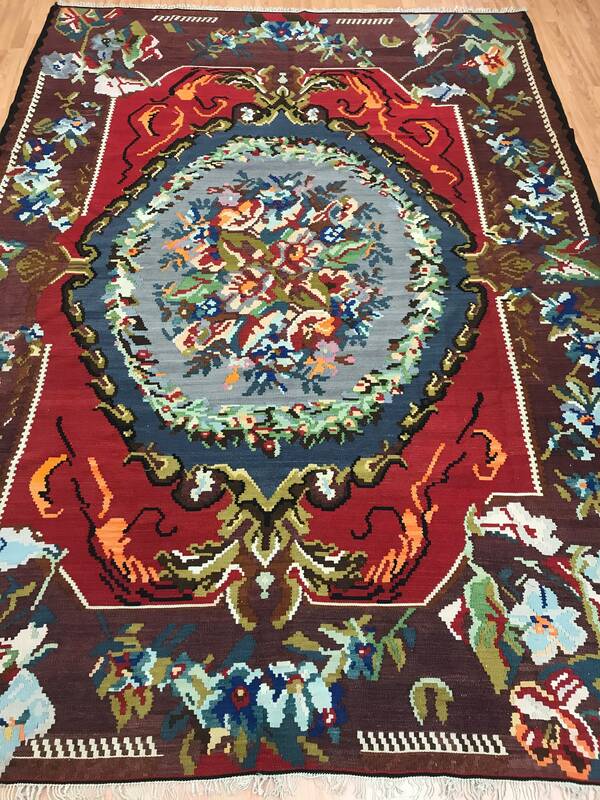 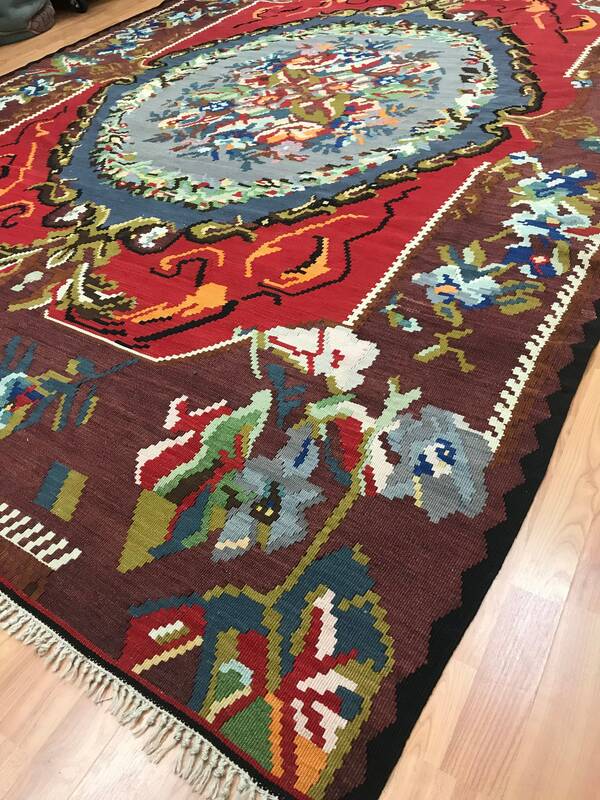 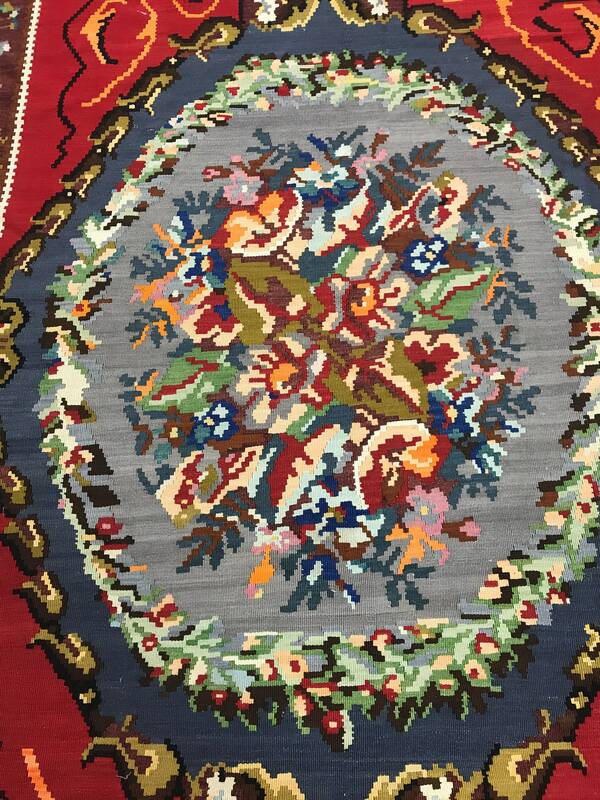 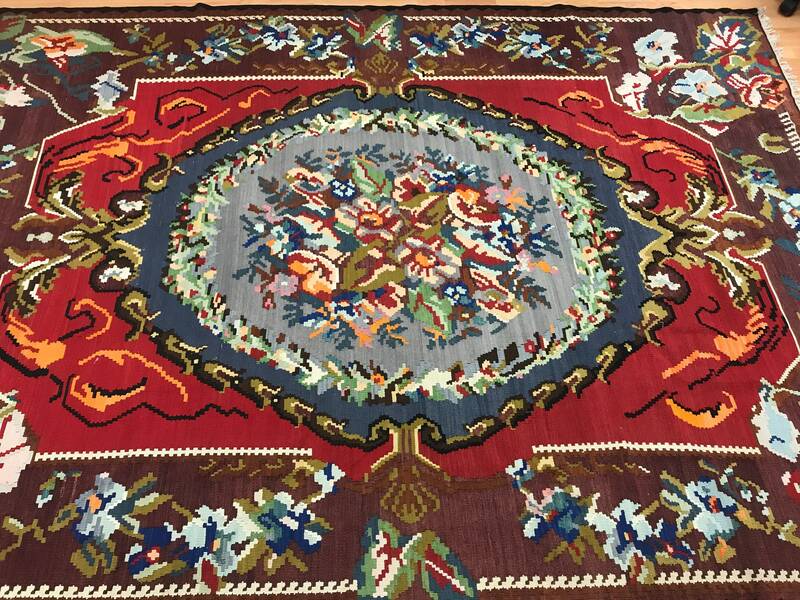 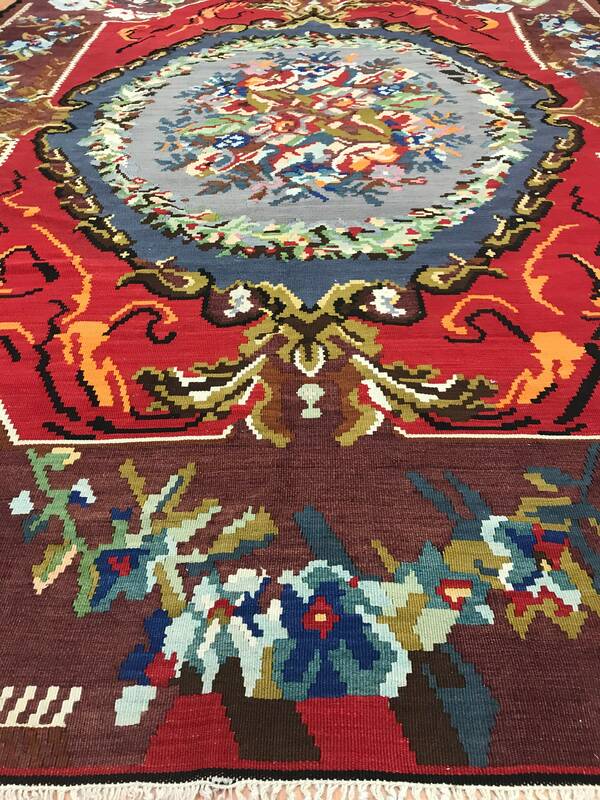 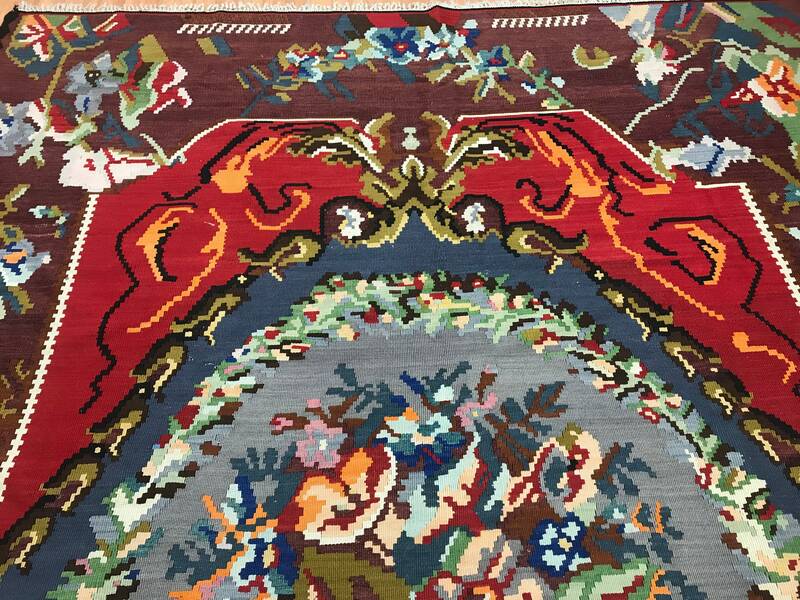 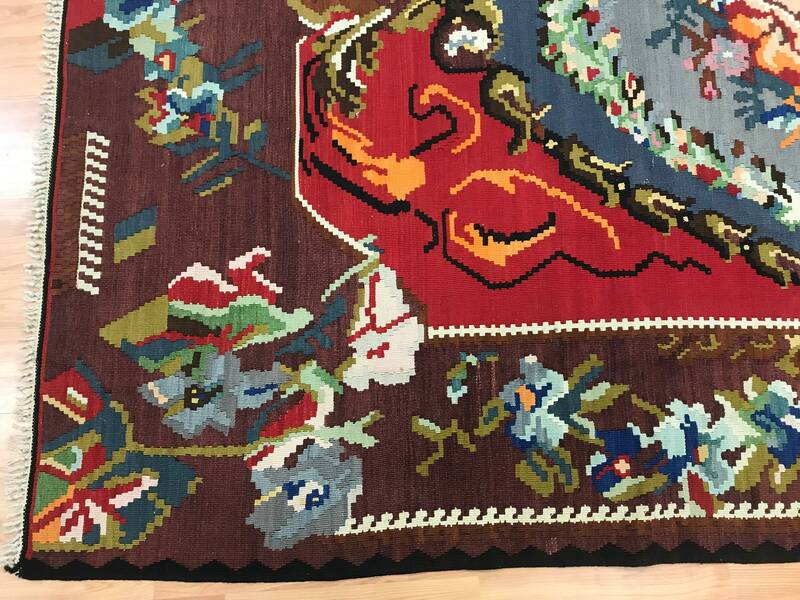 This hand made Turkish Kilim is made with 100% wool and is in good condition. 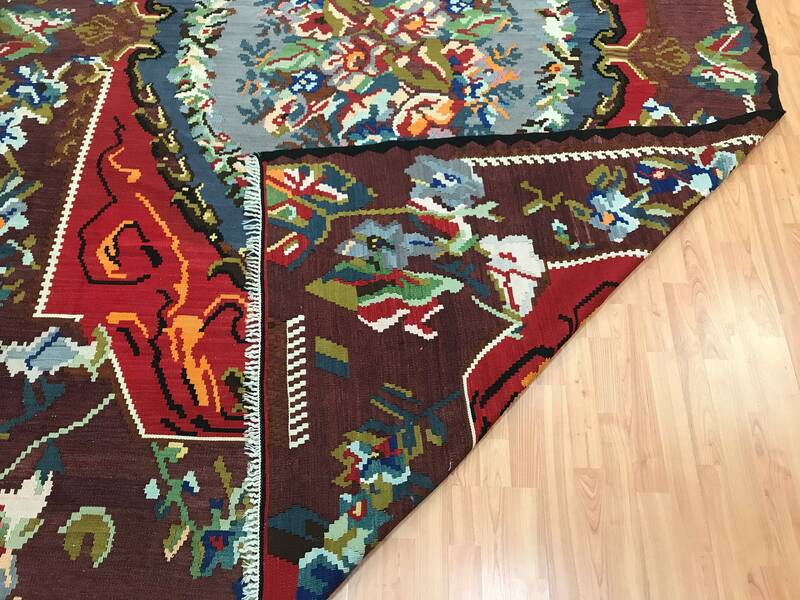 This rug is two sided.